KABUL -- Afghan President Ashraf Ghani Thursday (June 7) announced a temporary ceasefire with the Taliban for Eid, though operations against other groups including "Islamic State of Iraq and Syria" (ISIS) will continue. The week-long ceasefire, which was backed by the United States and would bring some welcome relief to war-weary civilians, will last "from the 27th of Ramadan until the fifth day of Eid-ul-Fitr", Ghani said on Twitter, indicating it could run from June 12-19. "Afghan National Defence and Security Forces will stop offensive manoeuvres only against Afghan armed Taliban and will continue to target [ISIS] and other foreign backed terrorist organisations and their affiliates," he said. More details about the ceasefire will be revealed during a "massive gathering" next week in Kabul, Ghani said in a Facebook live video, but did not elaborate further. It was not immediately clear if the Taliban would agree to the ceasefire, the first since the collapse of the Taliban in 2001. "We are checking with our officials regarding the ceasefire announcement," Taliban spokesman Zabiullah Mujahid told AFP. Afghan National Army Chief of Staff Gen. Mohammad Sharif Yaftali said the ceasefire "could be extended" if it holds. However, if security forces are attacked during the ceasefire period, "your security and defence forces will respond", said Gen. Akhtar Mohammad Ibrahimi, deputy minister of security at the Interior Ministry. The United States also will "honour" the ceasefire, US Forces Afghanistan said in a statement, though it seconded Ghani's stipulation that the move did not extend to ISIS and other groups. 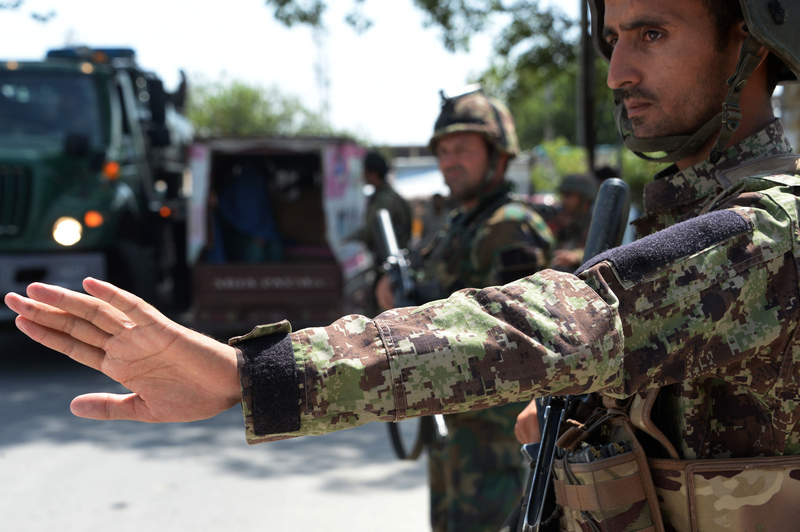 "We will adhere to the wishes of Afghanistan for the country to enjoy a peaceful end to the Islamic holy month of Ramadan, and support the search for an end to the conflict," said Gen. John Nicholson, commander of the NATO Resolute Support Mission in Afghanistan. Ghani's surprise declaration comes on the heels of a fatwa issued by Afghanistan's top clerics branding suicide attacks "haram", and after the Pentagon announced that senior Taliban officials have been negotiating with Afghan authorities on a possible ceasefire. The Taliban view Ghani's government as illegitimate and previously said they would negotiate only with the United States, whom they consider the main player in the conflict. In February, Ghani unveiled a plan to open peace talks with the Taliban, including eventually recognising them as a political party. At the time he suggested a ceasefire would form part of the plan. The insurgents did not officially respond to Ghani's overtures, but attacks have proliferated since then, especially in Kabul. However, when coupled with the fatwa, the ceasefire announcement does put pressure on the Taliban, said Rahimullah Yusufzai, a Taliban analyst based in Peshawar, Pakistan. "If it was only Ghani or the government, then the Taliban wouldn't have cared," he told AFP. "This is the clerics ... The Taliban cannot just say they don't agree, they will have to come up with an answer." "In order to respect the holy month of Ramadan, the demands of religious scholars, the will of the Afghan people as well as Islamic obligations, the government and president of Afghanistan have announced a ceasefire with the Taliban," said Sayed Naqibullah Hashemi, a member of the Kabul provincial council. "If the Taliban are not mercenaries of foreigners and are truly Afghans and Muslims, they should respond positively to this Islamic demand of the president," he told Salaam Times. "The Taliban should know that fighting is neither in their interest nor the government's -- only the enemies of Afghanistan benefit from that," he said. "The government's proposal in the Kabul Process and now the announcement of the ceasefire have provided the best opportunity for the Taliban to abandon fighting and join the peace process with dignity," said Hashemi, referring to Ghani's offer in February. "[Ghani] once again did his Islamic duty. 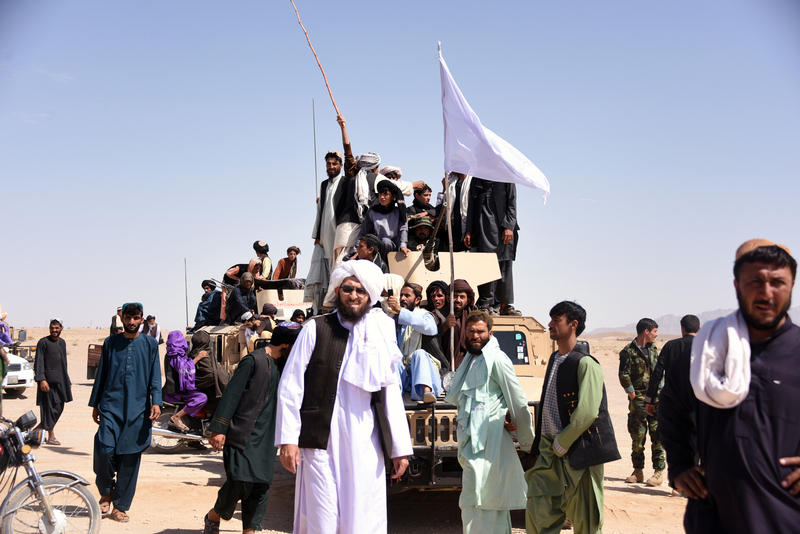 Now it is time for the Taliban to also do their Islamic job and respond positively to this demand of the government and of the Afghan nation," Aminullah Shareq, a Kabul-based political analyst, told Salaam Times. "The holy Koran has clearly stated that there are prosperity and blessing in peace, and if the Taliban refuse the demand for peace and the ceasefire, this will translate into not accepting the holy Koran," he said. "Afghans have become tired of war, and if the Taliban oppose the government's ceasefire and continue their fighting and violence, the entire Afghan nation will stand against them," he said. President Ashraf Ghani's latest offer to the Taliban came after a particularly violent week in Afghanistan that included a bloody militant rampage in Ghazni.